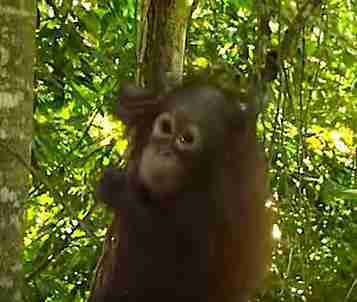 When a farmer noticed a mother orangutan and her son living on his palm oil plantation just before harvesting season, he knew something had to be done. So he decided to protect them. 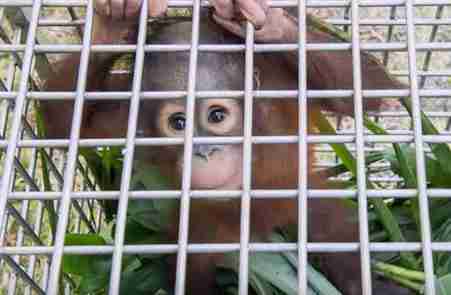 Calling on the experts of Sepilok Orangutan Rehabilitation Center, the farmer helped secure transport for the mother, Ah Foo, and her 18-month-old son, Kabaco, to a new and safer place to live. 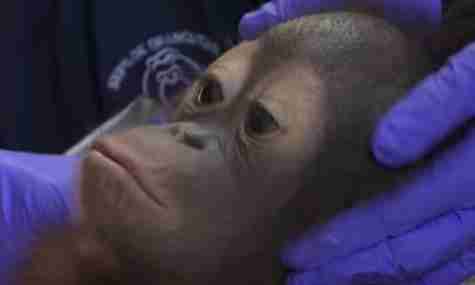 After watching over Ah Foo and Kabaco, and making sure they were both healthy for the journey, people at the rehab center put the mother and baby in crates and brought them to a safer place the orangutan family could call home, in Borneo. 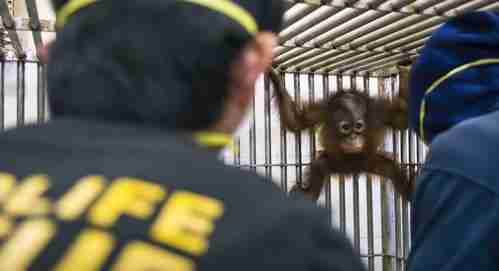 At first, the orangutans seem a little disoriented. 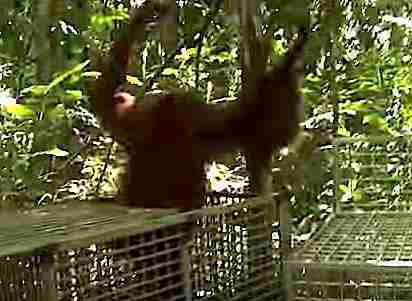 When released from her crate, Ah Foo nearly forgets about her baby as she rapidly climbs the nearest tall tree. 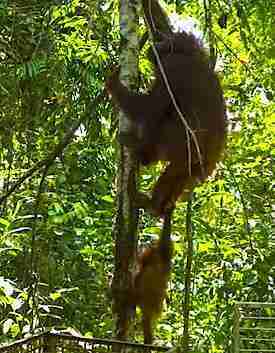 But soon she calmed down and helped carry Kabaco up to their new home in the treetops. 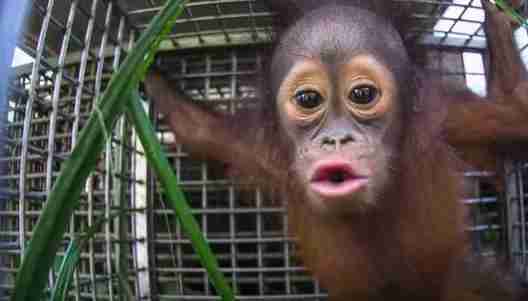 Orangutans in Borneo are often in competition with palm oil plantations for their homes. Because of deforestation that strips Borneo of orangutan habitats, it's estimated that there are only about 40,000 orangutans left in Borneo. Click here to learn how you can help orangutans by decreasing demand for palm oil, which is in many surprisingly common products.